Desiree has a high/low syndrome. Her right front hoof heel is too high so we trim it twice during the trimming cycle just to lower the heel. 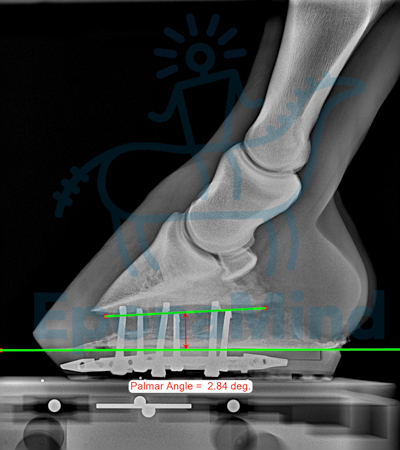 We also can reuse the same EponaShoe on her right front hoof to keep up with the wear pattern on the left front hoof. 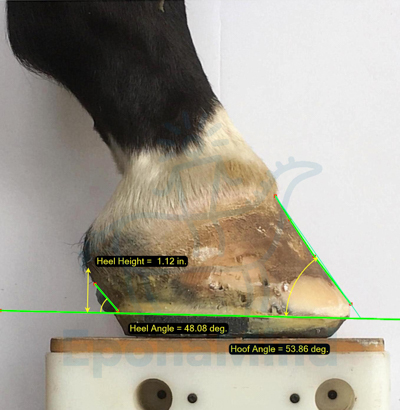 Low walled hoof. Less upright pedal bone.